Visit your pharmacy – Your local pharmacy can provide confidential, expert advice and treatment for a range of common illnesses and complaint. Visit NHS Choices to find a pharmacy open near you. Call NHS 111 – If you need urgent medical advice but your condition is not life threatening. 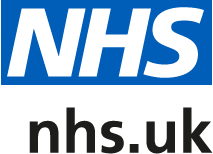 NHS 111 Is open 24 hours a day, 365 days a year. Calls are free from landlines and mobiles. A&E or 999 – for a genuine medical emergency including; loss of consciousness, acute confused state and fits that are not stopping, persistent and/or severe chest pain, breathing difficulties, severe bleeding that cannot be stopped.